Molecular scientists are unlocking cellular timing systems that could allow us to live longer, healthier lives—reminiscent of life spans reaching hundreds of years as reported in the book of Genesis. But would more time help us overcome the most debilitating conditions we face? Josh Mitteldorf and Dorion Sagan. 2016. Macmillan, Flatiron Books, New York. 336 pages. Elizabeth Blackburn and Elissa Epel. 2017. Hachette Book Group, Grand Central Publishing, New York. 416 pages. Michael Fossel. 2015. BenBella Books, Dallas, Texas. 256 pages. Although immortality is not in the cards, can degeneration and the terrors of aging be lessened or even eliminated? 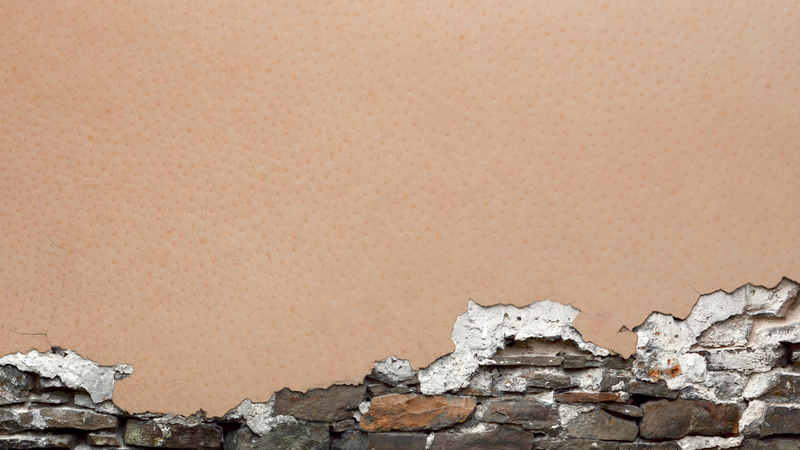 What keeps our bodies youthful in youth, and then stops? And why does it stop? Do our bodies forget how to be young? Could we help them remember? Might the solution to the problems of aging be within us? Maybe our bodies once knew how to stay youthful. In the pages of Genesis we see people living hundreds of years. Is that even physically possible? Presumably Adam didn’t spend his last 850 years pushing a walker through the dim halls of Sunset Acres (see Genesis 5:5). And there are more of us to consider all the time. Although average life span varies from country to country, globally it’s about 70 years today—roughly double what it was in 1900. Of the 7.5 billion people on earth, about 13 percent are over the age of 60. By 2050, that number is expected to rise to around 22 percent. According to at least one study, by 2030 women in some industrialized countries may achieve an average life span of 90 years and men more than 80. Current theories of aging relate to wear and tear, metabolism, hormones, free radicals, nutrition, environmental toxins and (or in conjunction with) genetic mutations. All focus on aging as a mistake. They argue instead that aging and death are innate phenomena that keep species’ populations in balance. For instance, if predators lived longer, populations would rise and their prey would be depleted. This would lead to ecosystem collapse—exactly what nature is trying to avoid. In their view, the most fundamental reason for aging and death is to forestall overpopulation and the destruction of the greater environment. Living things have evolved with expiration dates for the good of the whole, not the individual. This thesis implies a kind of ecological master plan tucked away in natural selection. “Natural selection must adjust the fertility and the life span to create a net speed of reproduction that is matched to the ecosystem—not too high or too low,” they write. “Not just groups, but whole ecosystems are adapted for homeostasis,” Mitteldorf says. How might Mitteldorf’s Demographic Theory of Aging play out? Paradoxically, he says, an easy life is a short life, proving that “life span must be evolutionarily programmed to be shorter and the body less strong when life is easy.” On the other hand, in stressed situations, survival is enhanced by slower aging. Because the so-called wear-and-tear theory of aging is incorrect, they say, “we don’t have to fix everything that goes wrong if we can only trick the body into thinking it is younger.” In fact, some stress—fasting, interval exercise, and adding an anti-inflammatory aspirin now and then—might be the best practice, they suggest. Our chromosomes come in various sizes; but they all share certain structural commonalities, including a telomere (shown here in blue) at the end of each arm. Understanding how genetic systems operate and applying that understanding to aging is the realm of The Telomere Effect and The Telomerase Revolution. Telomeres are the sections of DNA code found at the ends of each of our 23 pairs of chromosomes. When cells divide and their DNA is copied, a portion of the telomere is not copied and is cut away. After a number of replications and resulting shortening of the telomere, the cell senesces and dies. In this way the telomere acts as a kind of cellular clock. 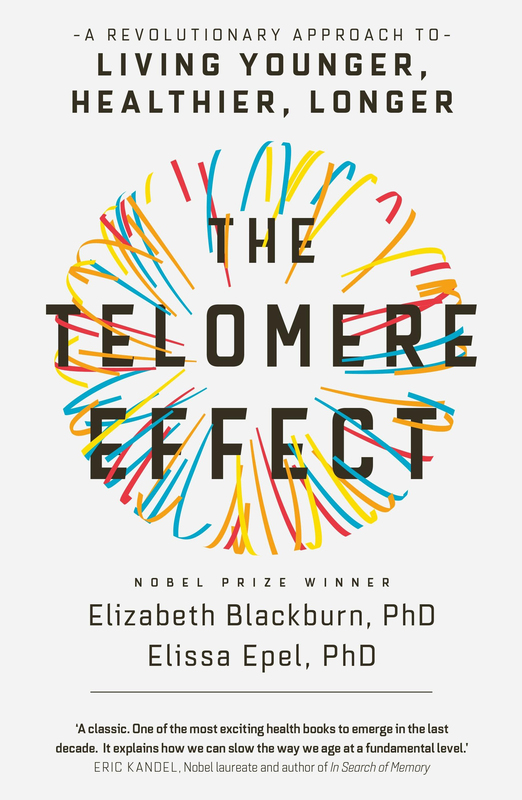 Blackburn and Epel’s The Telomere Effect aims to “put the lessons from telomere research into the full story, as it is unfolding today, in language for the general reader.” Like Mitteldorf and Sagan, they don’t accept the wear-and-tear argument. Rather, the health of the telomere signals the health of the cell and in turn the health of the body. Friedman, along with Leslie Martin, professor of public health at Loma Linda University, has summarized the findings of a longevity study that followed 1,500 people from childhood to death, beginning in 1921. The Longevity Project (2011) highlights their findings. Although case studies and links to research abound, The Telomere Effect is a self-help book, not a science text. It’s filled with questionnaires and surveys focused on helping that positively engaged reader. Consider yourself externally and internally: “How old do you look?” they ask. Consider your skin, bones and hair. What about chronic inflammation, blood pressure, breathing problems? How old do you feel, cognitively and emotionally? These are just a few of many intriguing questions. If trying to forestall premature telomere shortening were all there was to the story, that in itself might warrant a serious look at adjusting lifestyles and think-styles to better harmonize our nature with our nurture. But there’s more. 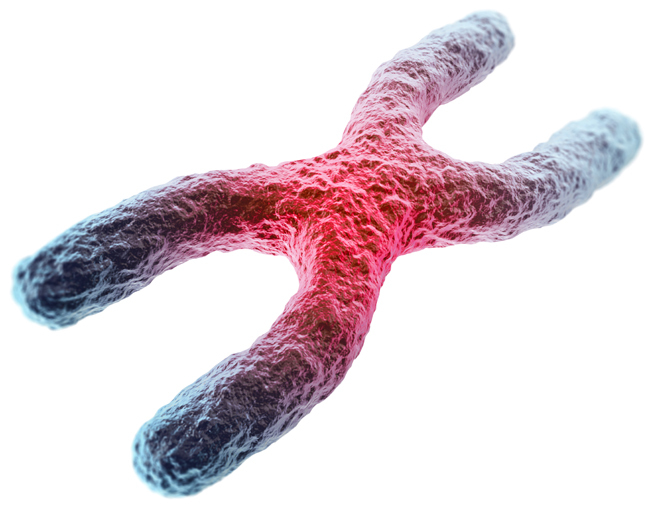 Telomeres actually exist in a dynamic state: they both shorten and lengthen. In the 1980s Blackburn and Carol Greider discovered the enzyme that rebuilds telomeres, naming it telomerase. It “re-creates new endings at the chromosome’s tips and replaces ones that have been worn down.” They shared the 2009 Nobel Prize in Physiology and Medicine with Jack Szostak for their discovery. There had to be some restorative mechanism; otherwise stem cells, reproductive cells and, on the dark side, cancer cells would be subject to senescence like other body cells, but they are not. If you could have only one book about aging, this is the one to pick. The Telomerase Revolution is a history, a scientific reference, a guide to healthful living and a book of medical prophecy all in one. 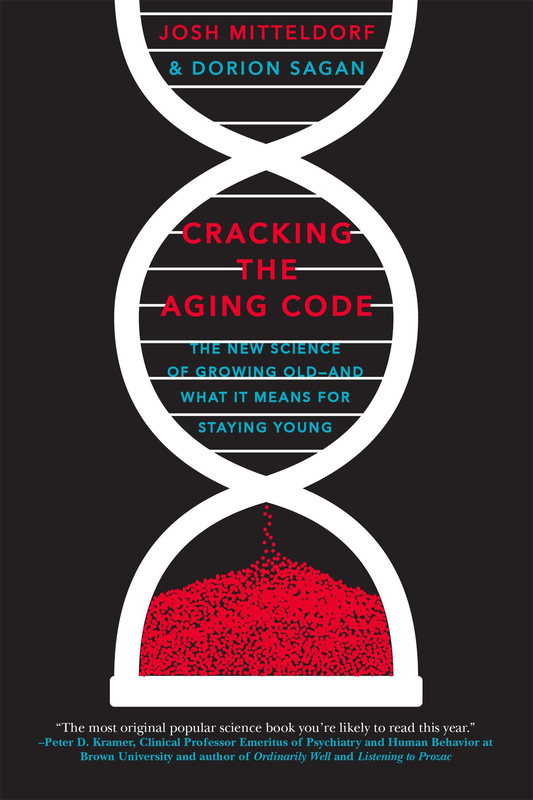 Fossel lays out in plain, readable and convincing language the potential to alter how we age. Seeing things as a Stanford-trained medical doctor and neurobiologist rather than as a research scientist, Fossel says, has enabled him to make connections between cell biology and the degenerative diseases of aging that others have not. Unlike the blind men touching only a part of an elephant and “seeing” a rope (tail), leaf (ear) or leg (trunk), Fossel believes he sees the whole picture. “What can we do right now?” these writers ask. Their advice is not much different from that of the ancients: “Teach us to number our days and recognize how few they are; help us to spend them as we should” (Psalm 90:12, The Living Bible). However long we have, ultimately the question is this: What will we do with the time we have? If indeed the people of Adam’s day lived hundreds of years, it did not seem to benefit them much. Their collective community was in ruins, at least from God’s perspective. Whatever they learned across those centuries did not bring them wisdom. Their way of life was corrupt beyond measure, to the point that their Creator regretted having started the human project in the first place (Genesis 6:5–6). The lessons they learned, if they learned anything, resulted only in annihilation for most. Elizabeth Blackburn, Elissa Epel and Jue Lin, “Human Telomere Biology” in Science (December 2015). María Blasco, et al., “Telomerase Gene Therapy in Adult and Old Mice Delays Aging and Increases Longevity Without Increasing Cancer” in EMBO Molecular Medicine (May 2012). Michael Fossel, Reversing Human Aging (1996). Josh Mitteldorf, “Aging Is Not a Process of Wear and Tear” in Rejuvenation Research (May 2010). 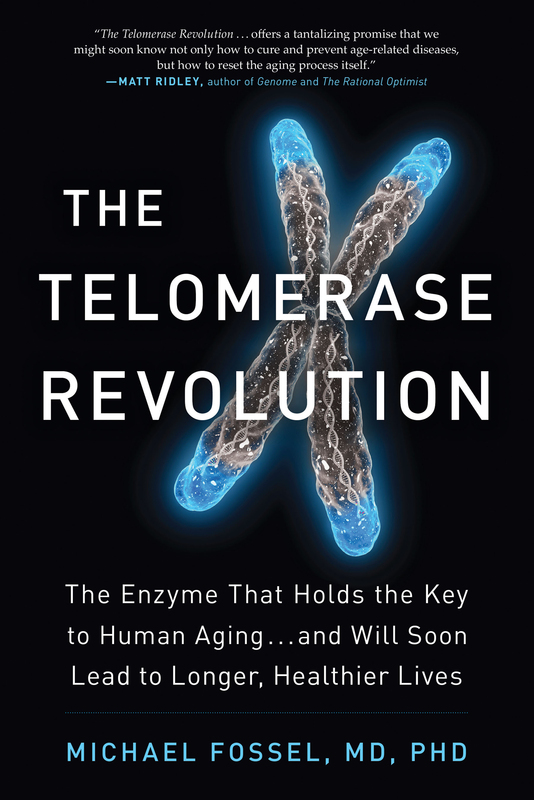 Ed Park, Telomere Timebombs: Defusing the Terror of Aging (2014).